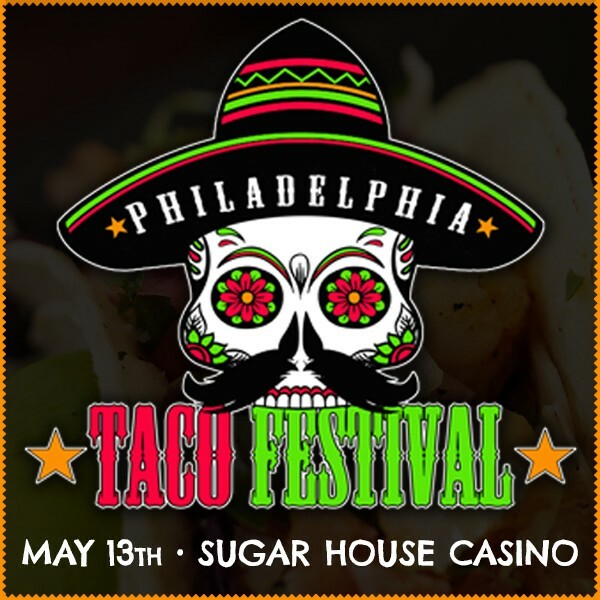 Join us on Saturday, May 13th for Philadelphia's first ever Taco Festival! Check out all the details, info and ticket details below..
At the event, you’ll find over 30 of the area's best restaurants & food purveyors dishing out a variety of unlimited $3 tacos (sold separately). There will be bars and beverage stations serving margaritas, beer, water, soda & more. All food, alcohol (not including tequila expo) & non alcoholic related items will work on a voucher system – so you will purchase vouchers at ticket stations and use those as cash. Additional vendors will be on hand to sell other food (cotton candy, cakes, desserts etc) as well. ATMs will be on site. • Taco's, Taco's & Tacos! A General Admission ticket provides access to Taco Heaven! Each VIP ticket includes a 2 hour open bar (Noon - 2PM), 90 min early entry, 5 taco vouchers, bottle of hot sauce, tequila shot glass & VIP tent with private bathrooms & bar. Come hungry as there will be over 30 of the areas BEST restaurants & food purveyors showcasing a variety of traditional, unique and delicious tacos! Margarita madness! Pick you favorite tequila and choose your option of traditional or frozen drinks while hanging out at the beach themed margarita bar. Fun for the whole family! There will be face painters, bounce houses, piñata smashing contests, carnival games & more. Bring your dancing shoes and expect to hear the sounds of traditional rock, authentic mariachi bands with dance troupe performances, Philly's best DJ's and & Lucha Libre wrestling. Have a restaurant, food truck or vendor inquiry? Drop us a line at INFO@PhillyTacoFest.com, call (484) 935-3378 or visit us at www.PhillyTacoFest.com. *All tickets purchased for The Philadelphia Taco Festival by phone or online are final. We Do Not issue refunds or exchanges & this is a Rain or Shine outdoor event. View More Events Organized by Philadelphia Taco Fest. Welcome to Taco Heaven at the Philadelphia Taco Fest! This event is organized by Philadelphia Taco Fest.